We are one of a 9 American Legion Posts in Canada. 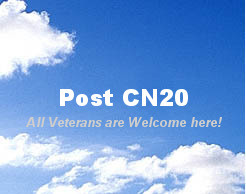 If you have any information on the above American Legion Post please e-mail us. There are a number of Canadians that have served in the United States Military, and American service members that have moved to Canada. We are here to support our fellow brothers and sisters in arms. If you have questions about membership, Veteran Affairs issues or would like somebody to talk to, give us a call. Desert Shield/Desert Storm Aug 2, 1990 to cessation of hostilities as determined by U.S. Government.